The Redding area has a variety of pickup options for interested players, at a variety of levels. We aim to keep this page as up-to-date as possible, but there’s always a chance that a given pickup game has changed date, time, or location. Contact the organizer of the pickup game before heading out for the first time. 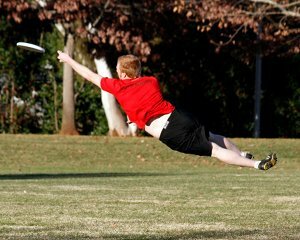 If you have information about any new pickup games, or if you notice someting wrong with the information we have here, send us a line at pickup@reddingultimate.org and we’ll set it right. A fun, family-friendly group plays chill pickup at the Anderson River Park every Sunday from 2-4pm. Pickup at Enterprise Park, 12pm on March 21st, 2013. Dylan Darling will be there. That’s all you need to know.